Send fresh white orchids to brighten anyone's day! 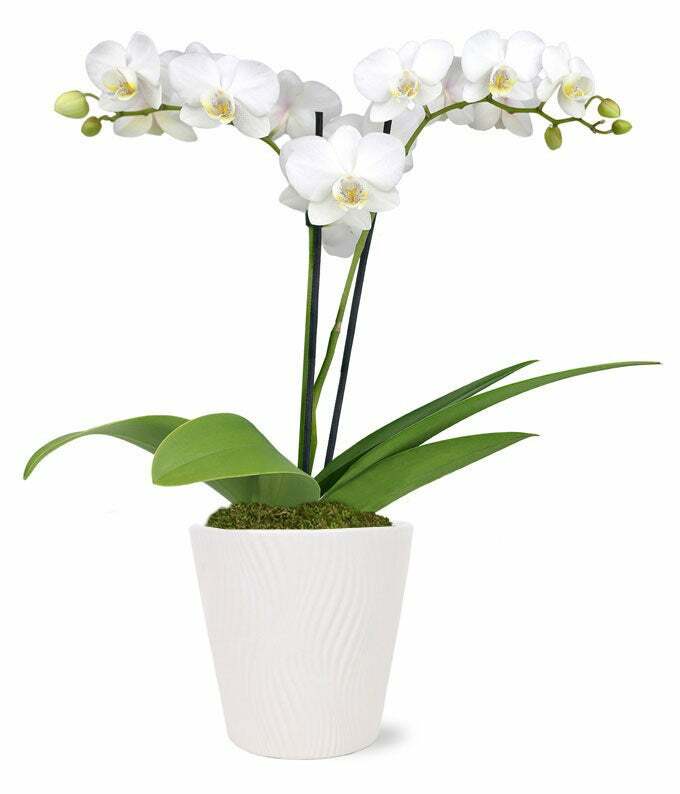 This modern orchid plant proudly displays pearly whites that bring vibrancy and life to any room or office space. The Pearly White Orchid Plant is guaranteed to arrive fresh to you recipient's doorstep! Simply water once a week with two ice cubes (or 3 tablespoons of water) and allow for indirect sunlight in any room.